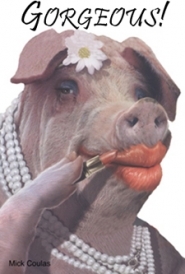 To funnel billions to banks while looking like they are helping families, CalHFA implements $2 billion 'Keep Your Home California' initiative. Politicians are always delighted to get behind a policy that they can spin as family friendly. Politicians are giving out free money again, this time ostensibly to save the family home. What selfless and devoted men and women we have doling out the free money from your pocket. Last fall I uncovered The Policy of Screwing Prudent Renters to Benefit Loan Owners. The government's policy is transferring wealth from renters to lenders through loan owners. California residents who are unemployed or owe more on their mortgages than what their homes are worth now have four new state programs that will help them stay in their house and current on their mortgage. The California Housing Finance Agency fully implanted the programs under its “Keep Your Home California” initiative, a nearly $2 billion endeavor funded by the U.S. Treasury's Hardest Hit Fund. Alabama recently jump-started a program to distribute its funds from the Treasury HHF. Assisting families? Is it helping families if you keep them in property they can't afford? Perhaps the family feels they get the beneficial use of a nice property so the rest doesn't matter? The arrangements people make in loan modifications to keep their houses most resemble Option ARMs. They are deferring interest and adding to their already bloated principal balance. Let's say the Ponzi family is making a $1,000 per month payment on their property using an Option ARM or loan modification, and the fully amortizing payment is $3,000 per month. The property rents for $1,500, so the Option ARM allowed them to pay less than rental parity, but the fully amortized payment was double rental parity. That was 2006 in most bubble housing markets. Fast forward to 2011, and the same mechanism is allowing borrowers with loan modifications and government assistance programs to pay less than rental parity, but the fully amortized payment is double rental parity. The bigger amortizing payment is coming in three to five years. If we give the Ponzi family $3,000 per month to give to the bank, aren't we just funneling bailout funds to the bank? If the Ponzi family can still only afford a $1,000 to $1,500 payment, and we are giving the banks $3,000 for the Ponzis, how does this end? The moment the assistance runs out, the house will go into foreclosure because the Ponzis can't afford it. They never could. What we really have here is the banks arranging to get bailout money to maintain their shadow inventory by keeping delusional loan owners in place. Lenders will have to clear out these assisted borrowers in the long run because these borrowers simply cannot afford the payments. Lenders don't care as long as their collateral is taken care of and the payments are being made. Under Keep Your Home California are three programs that offer several forms of mortgage assistance and one program that provides transition assistance to borrowers in the process of a short sale of deed-in-lieu transaction. The Unemployment Mortgage Assistance Program is designed to give unemployed homeowners up to $3,000 a month or 100% of the existing total monthly mortgage payment stay current, depending on which amount is less. Why do we have unemployment mortgage assistance programs, but we don't have unemployment rent assistance programs? The politicians are slapping every renter in the face. No, it's worse than that. 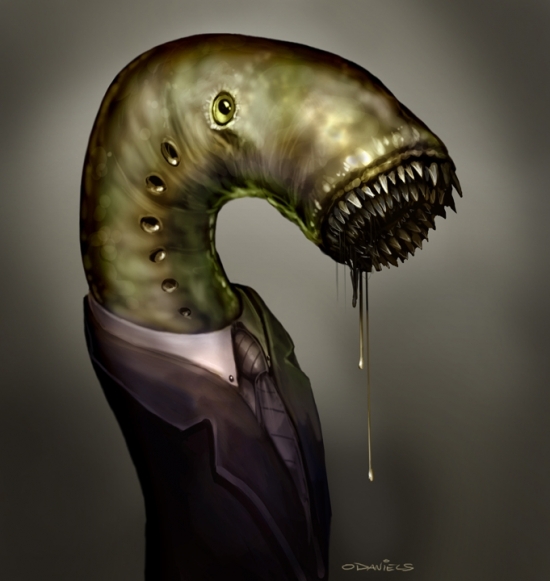 Politicians are reaching into the wallets of every renter to give the renter's money to the delinquent borrower squatting in the home the renter wants to buy but can't because the loan owner is being given the renter's money. The Mortgage Reinstatement Assistance Program is intended to help homeowners who have defaulted on their mortgage payment due to a temporary change in household circumstance, such as death or serious illness. The Cali Housing Finance Agency will fund up to $15,000 per household under this program. CalHFA is also offering a principal reduction to borrowers at risk of default because of an economic hardship coupled with a severe decline in the home's value. The Principal Reduction Program provides capital to reduce outstanding principal balances of qualifying borrowers with negative equity and most likely prelude a loan modification, the agency said. Homeowners receive assistance with relocating under the Transition Assistance Program. The program is used in conjunction with a servicer-approved short sale or deed-in-lieu of foreclosure program. All programs were supposed to be in effect by Nov. 1, but were delayed due to logistical issues, according to an article by the Sacramento Bee. Still, Norma Torres, a member of California's Assembly Committee on Housing and Community Development, commented that any action taken is a step in the right direction. “No one program will solve the foreclosure crisis affecting our state, but together we hope to make a difference for as many families as possible,” she said. Follow her on Twitter @HWnewbieCR. Saving families? I have a better idea. It starts with wiping out the debt rather than servicing it with $3,000 per debtor per month from the US taxpayer. The HELOC abusers who I pick on the least are the ones like today's who consistently grew their mortgage, but they did so at a slow rate suggesting a modicum of prudence in what was an insane world of keeping up with the Joneses. The house was purchased back in 1988 for $192,000 just as prices were taking off in the second housing bubble. Their mortgage information is not available. In 2009 taking advantage of very low rates, they refinanced with a $264,500 first mortgage which is more than they paid for the house 23 years ago, but not much more. They certainly are at no risk of going underwater. Status: ActiveThis listing is for sale and the sellers are accepting offers. 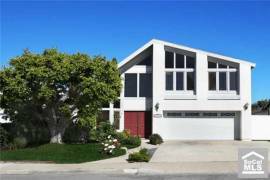 Impressive Custom Showplace! !FANTASTIC OPPORTUNITY! !Seller has priced this Wonderful 5 Bedroom 2700 sqft Beauty to SELL FAST! !Your clients will be BLOWN AWAY the moment they walk in the door. Dramatic two story entry w/ WALL of WINDOWS brings in tons of Natural Light. Designer Decor & Custom Appointment Thru-Out. Custom Wood Builtins seperate the Step Down Sitting Room from the Spacious Living w/ Hardwood Floors, Recessed Lighting & Brick Fireplace. 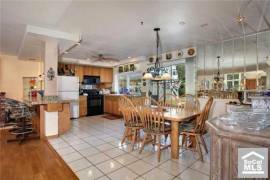 Sunny Kitchen, Gorgeous Granite Countertops, Enlarged Granite Breakfast Bar, Custom Lighting & Breakfast Nook. You'll never want to leave the downstairs Master Suite which boasts ROMANTIC FIREPLACE, Incredible Master Bath W/ Sunken Jacuzzi Tub, Massaging Jets, Dual Marble Vanities & Marble Accents. Downstairs OFFICE/DEN & Bedroom. Stunning Spiral Staircase leads to Huge Bonus Room w/ Vaulted Ceilings, Builtin Cabinetry, Work Station & MURPHY BED. Large backyard Perfect for entertaining w/ Patio and Firepit. Prime Cul De Sac Lot. Walk to IRVINES BEST SCHOOLS. HURRY! 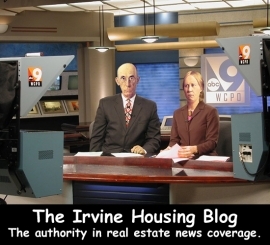 Thank you for reading the Irvine Housing Blog. Astutely observing the housing market and combating California Kool-Aid since 2006. This entry was posted in Library, News on February 11, 2011 by IrvineRenter. Yay! I get to help pay other people’s mortgages so it keeps home prices over inflated and I can’t buy a reasonably priced home. I’m so excited! Every time you I hear somebody say that Ron Paul or libertarians are not viable candidates and that they are too radical, I realize that the condition described above by IR is exactly what the people have voted for. And the people will continue to get exactly what they have voted for. Are you saying this baby isn’t worth 700K? This IS Irvine after all. You are paying for the land, schools, safety and most importantly it’s for the children!!! How dare you be so superficial. In other news, The Irvine Company is opening up their 2011 new home developments, Stonegate and Laguna Altura. Both are debuting 4 neighborhoods (a mix of townhome, detached condo and SFR) and while Stonegate ranges from mid $300k to $800k, Laguna Altura (a gated community) starts at $600k and ends up over $1mil. And they are all being built by Irvine Pacific (AKA The Irvine Company). Along with new tracts in Portola Springs and Woodbury, I really don’t know how they can move all this product. I hope this will soften prices… but then again… I had hoped that when they opened the 2010 Collection in Woodbury, where instead they sold through it all, raised prices and built more. Another bold move by TIC. To their credit, new home sales are lagging just about everywhere else but Irvine. New construction has ground to a halt in other areas due to the large numbers of foreclosures and depressed prices. Yet, here’s TIC rolling out more and more supply to meet all the pent-up Irvine demand. And I forgot to mention Cypress Village… AKA Woodbury South. Seems like a lot of homes considering existing new homes are being put on the MLS by the builders (which usually indicates a slow down). Indeed, this “Keep Your Home California” program is the worst kind of socialism as the government picks who is worthy of help and who is not. You can make up to $124K in santa clara county and still get up to $50k in principal reduction, thanks to your hard working, taxpaying, fellow citizen renters. I really don’t know why renters are not in the street? are they just so ingorant? Are they just so dumbed down by TV, drugs, internet, video games?